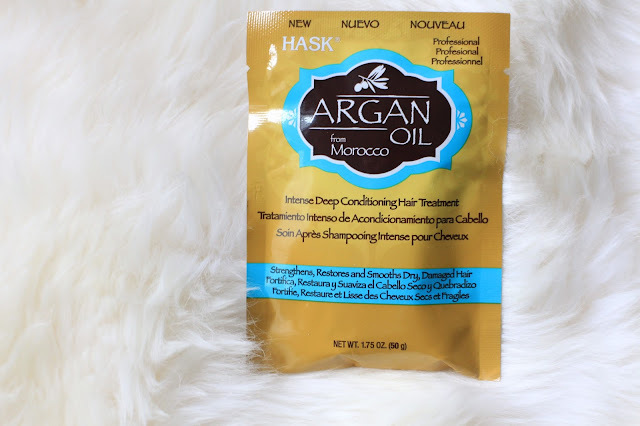 Hask had recently sent me this care package of hair products from their Argan Oil collection. 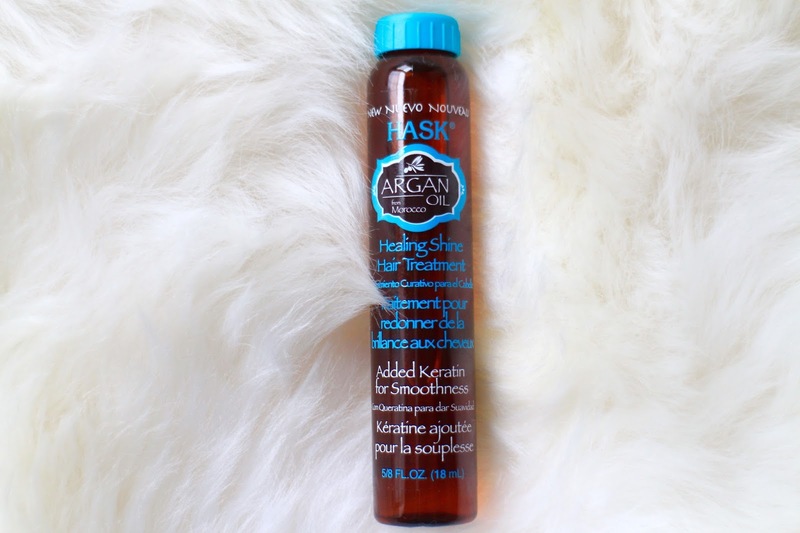 I've tried argan oil before and so far it's been great. 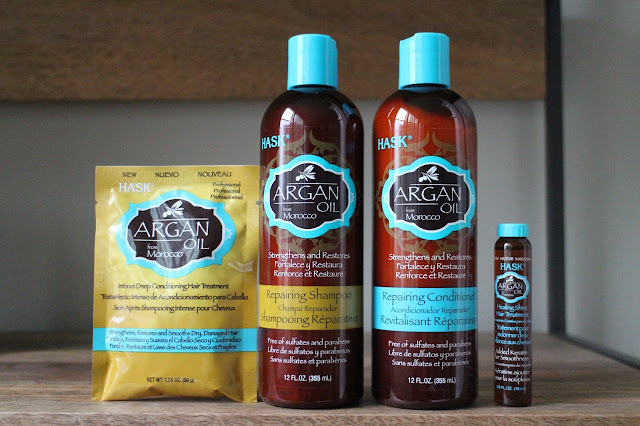 I tend to be somewhat picky when it comes to putting products in my hair since it can create build-up (which I hate!). That makes it more difficult for me when trying out certain hair products. I am happy to say my hair hasn't done that with these! Let's go down the list! I like to condition from the mid-shaft to the ends never on my actual scalp. 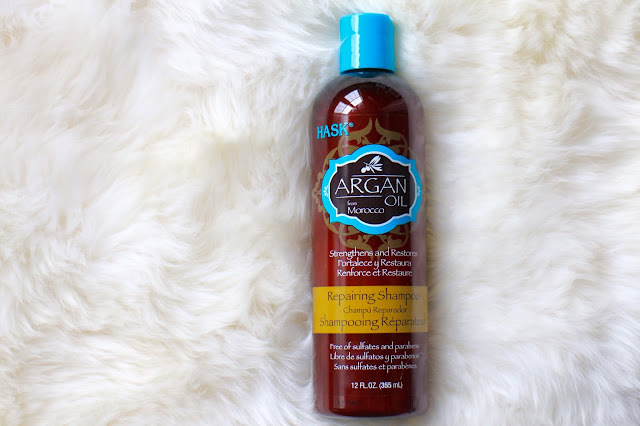 This conditioner has been giving me smooth hair without any tangles (a huge win!). Speaking of tangles, I like combing my hair thru with the Tangle Teezer right after getting out of the shower. It doesn't damage my hair even when wet! I am a shampoo girl, I seriously go thru bottle after bottle just because I like that "clean" feeling of my hair. Lather is better I've always thought! 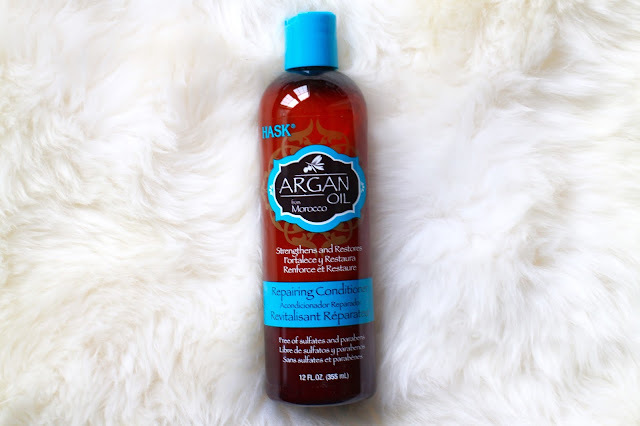 This definitely made my hair feel softer and clean enough that it's not stripping the natural good oils off my hair. Plus the smell is nice and not too overpowering! With the cold winter coming, this will be a must-NEED to keep my hair from drying and frizzing out! I have yet to try just because I haven't had the right opportunity to but I will definitely give this a shot. I like to flat-iron and curl my hair every week so my hair will be thankful when it comes to this. 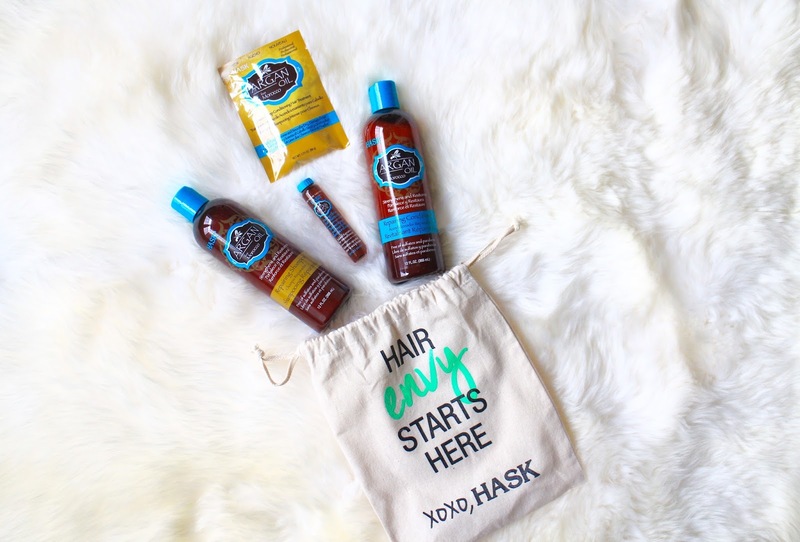 To learn more about Hask, you can go check out their Facebook, Twitter, and Instagram! 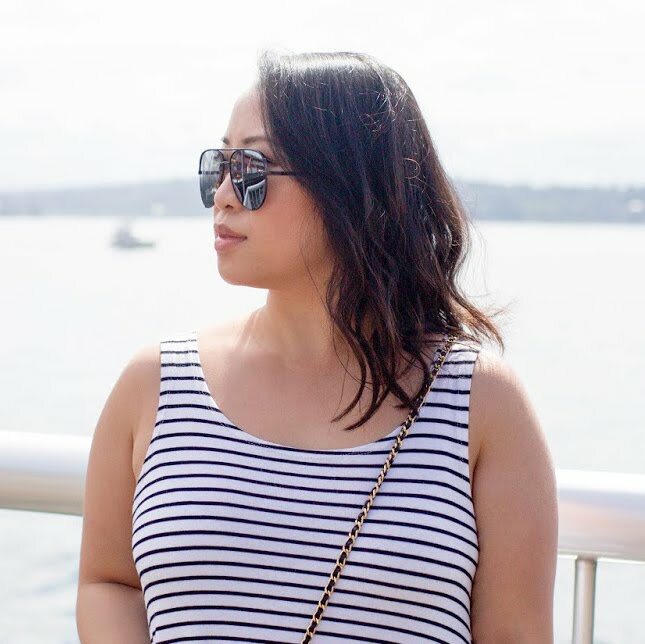 Don't forget to enter my current giveaway to win a CaseApp phone case or skin! Disclaimer: Hask did send me the complimentary products for a review. I love Argan Oil! It literally has changed my life. This is my first time hearing about this brand. Thanks for the review.